LLLLLets get ready for chomppinnnnnggg~ ! Spectators needed, and its all for charity. 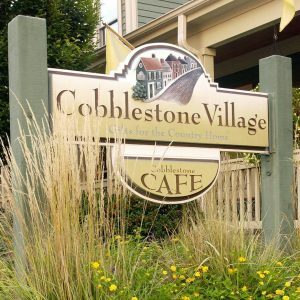 The Submarine House in co-ordination with Food Adventures Dayton is hosting an event on Saturday April 27th at 3pm. Local celebs from all walks of life will be chewing for charity as they take the Super Duper Cheesesteak Challenge. This is just a qualifier event to see if any of the local celebs can qualify for the store championship. Money raised will benefit the Pink Ribbon Girls, from entry fees to a portion of all drinks and food bought during the event as well as straight up donations and a 50/50 raffle. 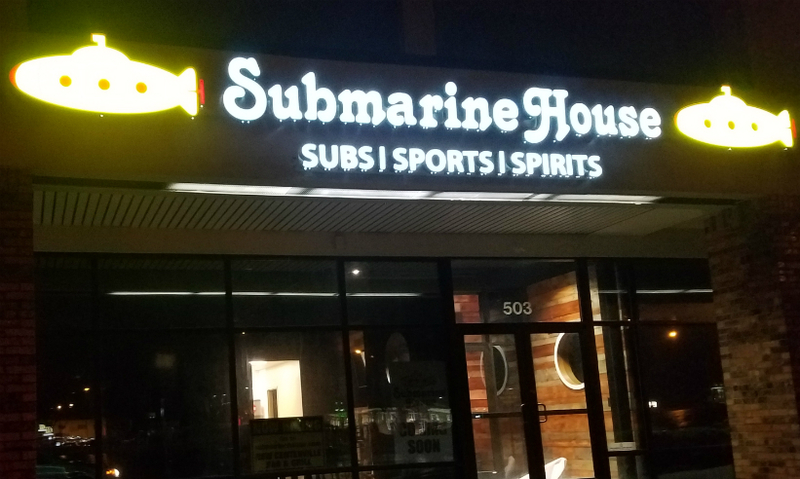 Dayton Most Metro and Dayton Dining are also partnering, and have EXCLUSIVE SCOOP on this extravaganza at the Centerville Submarine House at 503 Miamisburg Centerville Rd. — A portion of food and drink bought during 2pm -5pm will go to Pink Ribbon Girls. Can one of these celebs qualify for the store championship in May? 1) KETTERING POLICE OFFICER MARK “THE ITALIAN STALLION” STEFFANO ! Used to keeping law and order, can one of Kettering’s finest “cuff” and tame the 16 inch Super Duper Cheesesteak? Remember that means triple the cheese and triple the meat! Can this Paisan meet the challenge? Pride is on the line! 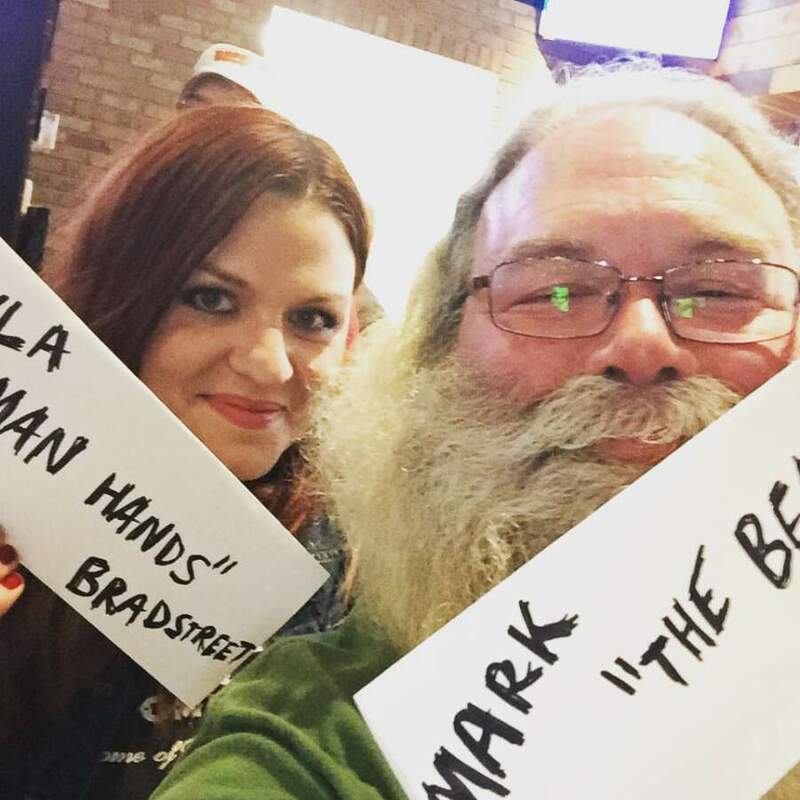 Mark will leave no crumbs in his beard ! The one and only real Santa in town, Mark is also a fixture at the Sons of Italy, and Italian Fall Festa handling cannoli. He looks to handle the Super Duper Cheesesteak in under 16 minutes. 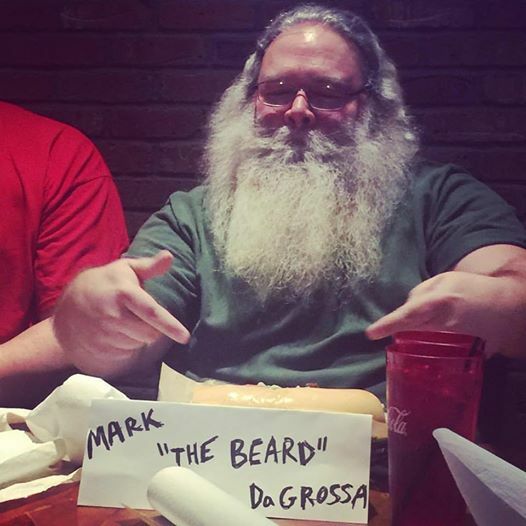 Also known for his work on the Gem City Podcast, Mark “The Beard” DaGrossa will be looking to beat the bun this year! We are grateful for his participation. 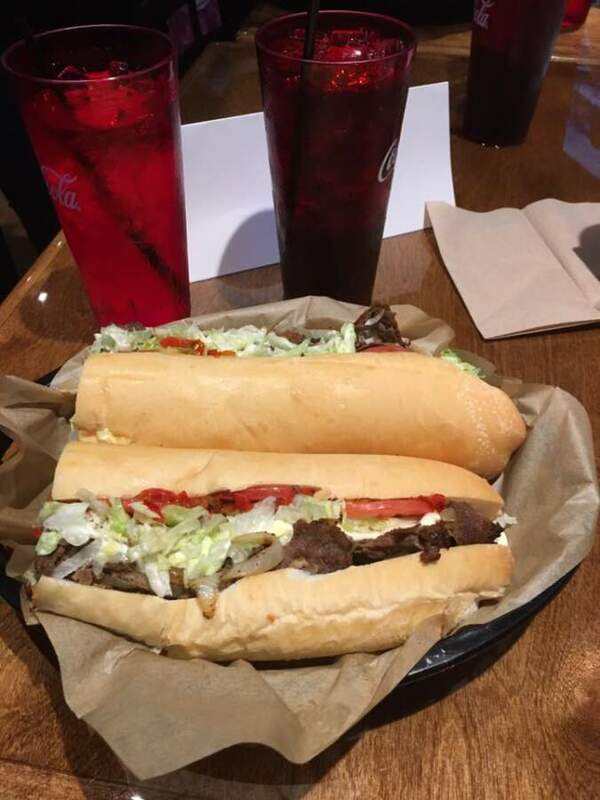 Used to tackling dummies, can this player tackle a Super Duper Cheesesteak ? Can this 18 year old stud intercept the 16 inches of heaven and beat the challenge? 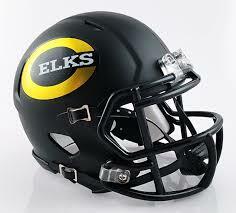 The entire team should be there to support this Hungry Elk as we hand off of a sandwich with the works and triple the meat and cheese. 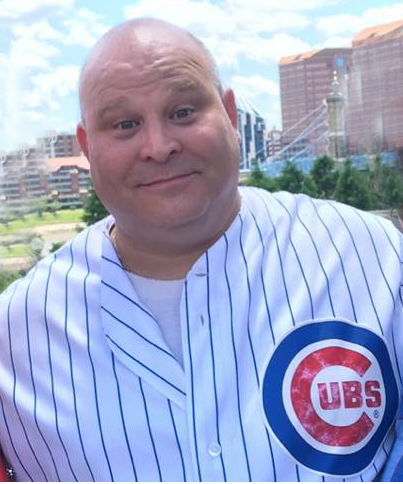 Used to eating garlic, organizing bocce ball and running the beer trucks at the Sons of Italy Fall Festa, Kevin is no stranger to the challenge. He looks to improve his time in the “Senior division” of the competition. A former college football player, he looks to size up the 16 inch sub. Bad news for Kevin, there is no garlic on this cheesesteak. Local sports guru Scott Halasz steps up to the challenge for charity and faces his first Super Duper Cheesesteak. Can this journalist make headlines by beating the 16 inches with the works? Look for him to have a secret strategy that may push him past the time limit with ease! We wish him luck and are excited to have him for this event. We have a ringer. Stepping out of retirement, former 2012 Super Duper Cheesesteak champ Steve Howard is hungry for more. Does he still have what is takes to beat the challenge and get on the leaderboard for the store? We look for a good time and he is the man to beat. Watching this guy mow through a 16 inch cheesesteak is worth the price of admission alone. 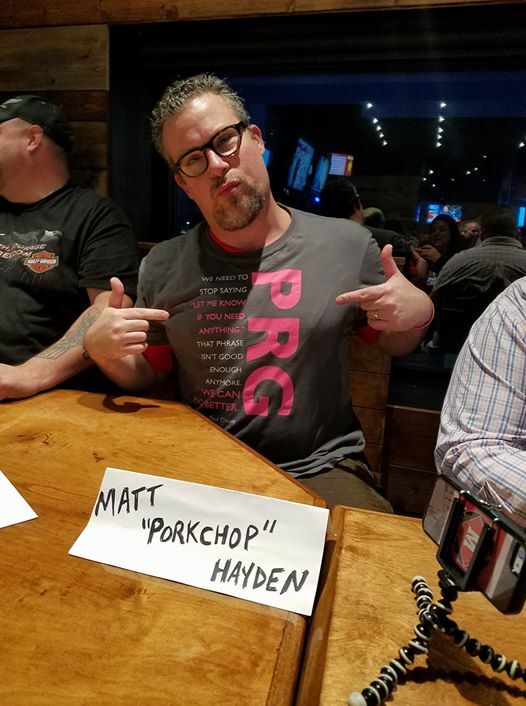 The man behind the Gem City Podcasts steps into the Cheesesteak arena to help the Pink Ribbon Girls. Trading in his microphones and headset for a 16 inch sub with the works, can he beat the challenge? Or will the Super Duper sub make Izzy, too dizzy? We have a feeling he may we the wildcard in this competition and could come in with an impressive time. Come watch for yourself and see if Terry can do it ! Chrome Diva Rep Chris Goode almost came in 1st last time. Loud motorcycles and long highways are a way of life, but can this open road friend of the Divas beat the open faced Super Duper Cheesesteak? 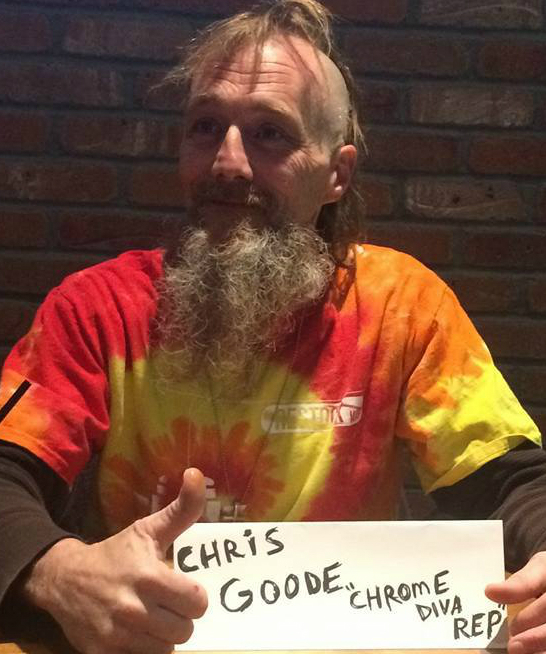 Watch as this Chris steps up to the table for charity again. Gripping the sub like handlebars, we expect him to put the pedal to the metal and put a hurting on this sub. This will be his 2nd time at the competition and his first time he nearly came in first place. If he comes in hungry, look or him to be a dangerous competitor. Nick is a big time aviation buff and expects to fly high in the cheesesteak challenge. Will he be able to land this sub with triple the meat, triple the cheese and the “Works” toppings which include mushrooms, onions, mayo, lettuce, tomato and hot relish? 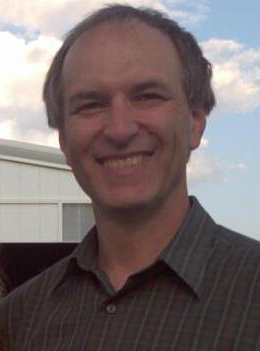 We are grateful to have this local brewery owner and brewmaster, who makes incredible beer, as part of the fun. 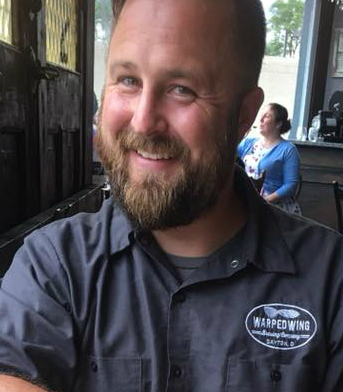 Nick Tarkany Sr. from Heavier than Air Brewing Co.
We will see if the transition from beer to cheesesteaks is a natural one as Warped Wing’s distribution king, puts his crown on the line. Can Dustin beat the clock and make Ermal proud, or will the sub feel like ten tons of stout? We are very excited to have him in the competition and look for him to possibly be a dark horse in the race. Will he be able to can the competition? Come watch and help us raise money for Pink Ribbon Girls. 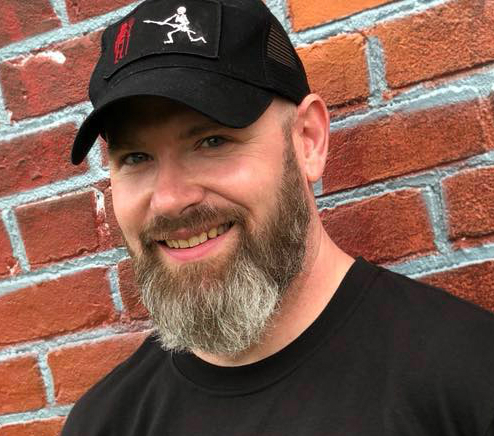 Dustin Stanley – Warped Wing Distribution King will be in the contest. There you have the local celebs competing for charity !! 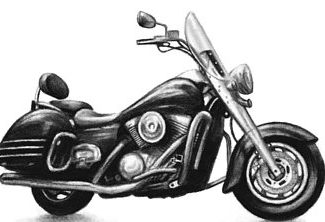 b) Event will take place at the Centerville Submarine House Bar and Grill on 503 Miamisburg Centerville Rd. Seating will begin 2:00pm, announcements will start 3pm. get a free t-shirt. 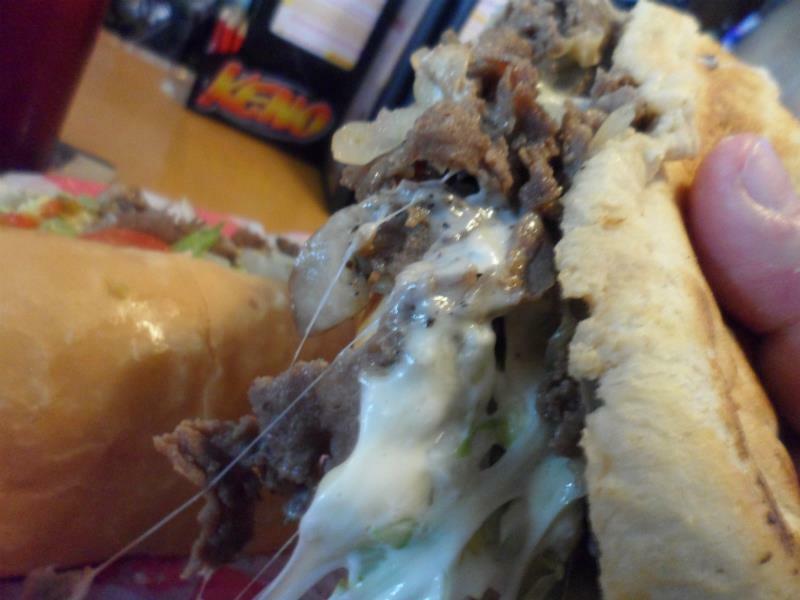 No topping substitutions, you must eat the cheesesteak as is. All participants will be timed and cheered on as contest will have a shotgun start at approx 3:15pm on April 27th. d) Those who beat the contests will have there times compared to current top 10 times and may be placed on the leaderboard and could be eligible for the store championship eat off at a later date, and maybe even the finals June 1st ! COME ONE. COME ALL, COME HUNGRY , COME THIRSTY. Join us for this Food Adventure ! Eat, drink and be pink! Remember a portion or all food and drink sales will go to Pink Ribbon Girls from 2pm -5pm. Please help us pack the house and cheer on these amateur eaters in a hilarious contest for charity! A BIG THANK YOU to Centerville Submarine House Ownership Jeremy McDaniel, Brody Danner and Jason Danner for their incredible support of this event !! Our buns are ready ! 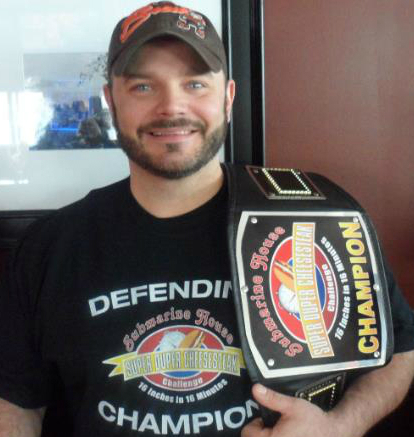 LOCAL CELEB CHEESESTEAK CHALLENGE APR 27th , 3pm, CENTERVILLE SUBMARINE HOUSE . Submarine House Poll: Cheese Whiz or Cheese? + Win a Super Duper Cheesesteak ! 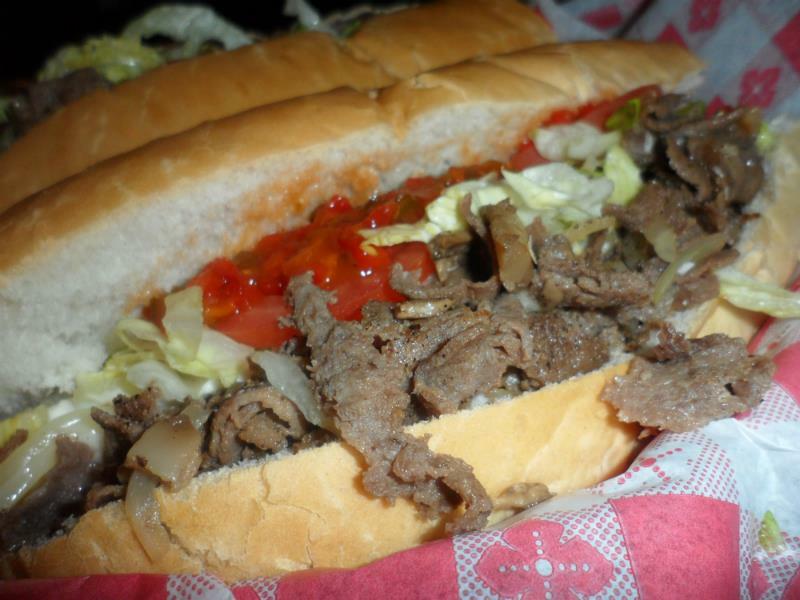 Dayton has it’s share of good places to grab a Philly Cheesesteak. 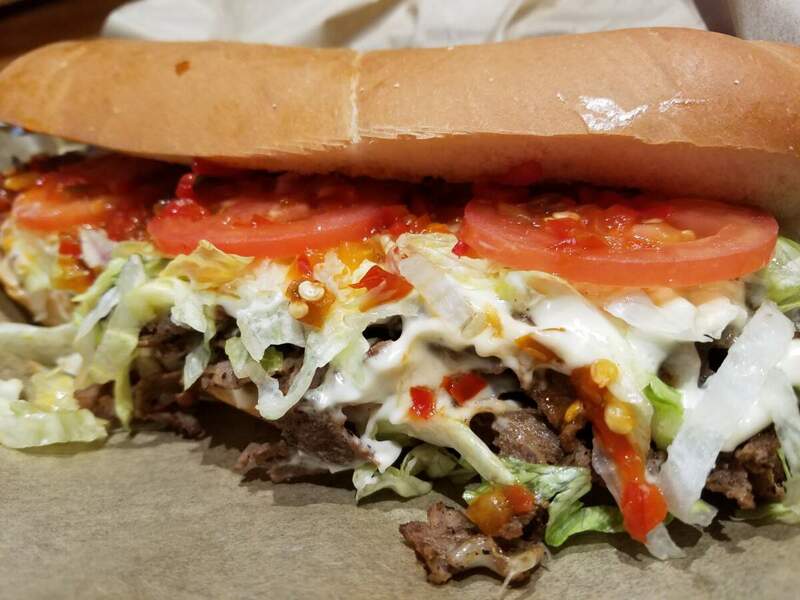 The Submarine House is at the top of this list and are one of the few spots that offer their cheesesteaks with a choice of Nacho Cheese Whiz sauce or Sliced Cheese. Foodies have battled back and forth on which is the best way to eat a Philly cheesesteak. 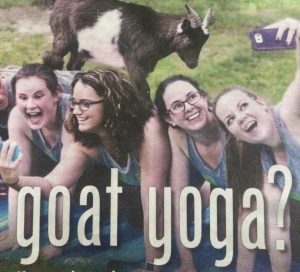 So we look to you, our fellow, hungry Daytonians to solve this with a foodie poll. Today we ask an age-old question that Cheesesteak lovers have been gnashing teach over for decades…. on your Philly Cheesesteak, do you prefer.. CHEESE WHIZ or CHEESE ? Comment below, and one winner will be selected at random and win a Super Duper Cheesesteak from Submarine House, compliments of The Food Adventure Crew ! 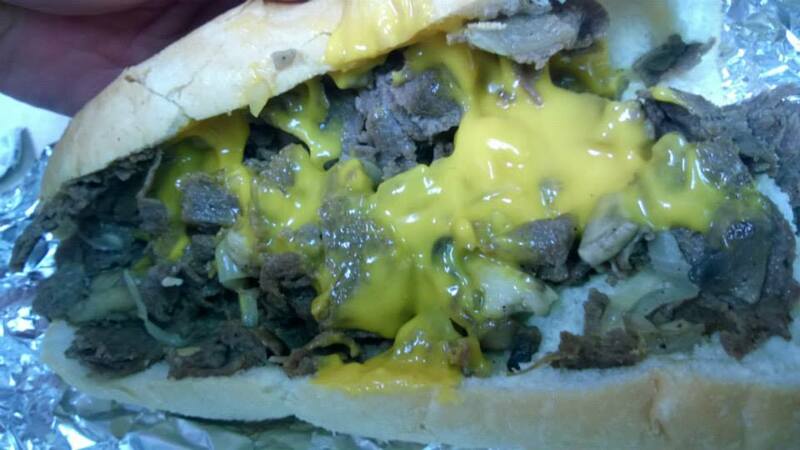 You can get your cheesesteak how you like it .. with the WHIZ or CHEESE ! Before you answer — what is a Philly Cheesesteak ? WHAT IS A PHILLY CHEESESTEAK ? 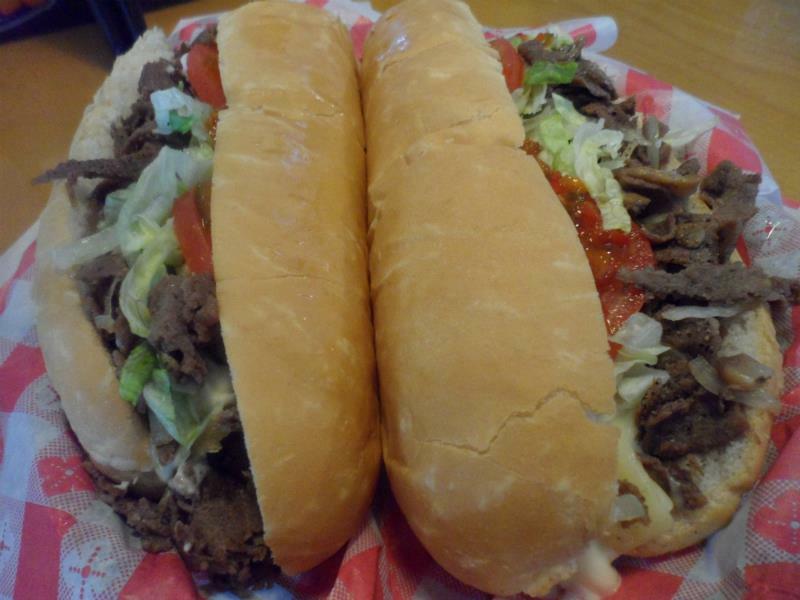 It is a sub, served on long, crusty french or italian style roll filled with thinly sliced and possibly sauteed beef and melted cheese. In Philadelphia, the cheese preference is Cheez Whiz. In other parts of the country it seems that shredded or sliced American, sharp or provolone are the preference. 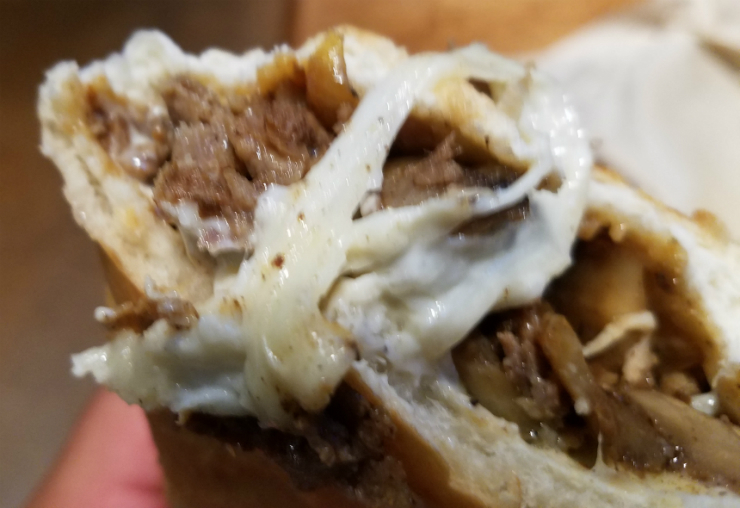 Many foodies say that the essence of cheesesteak preparation lies in the balance of flavors, ingredients , texture and the messy goodness, or “drip” factor. Other toppings may include grilled onions, green peppers, mayo, sautéed mushrooms, and hot or sweet banana peppers. Even ketchup and French fries have topped a sub, as well as lettuce and tomato. 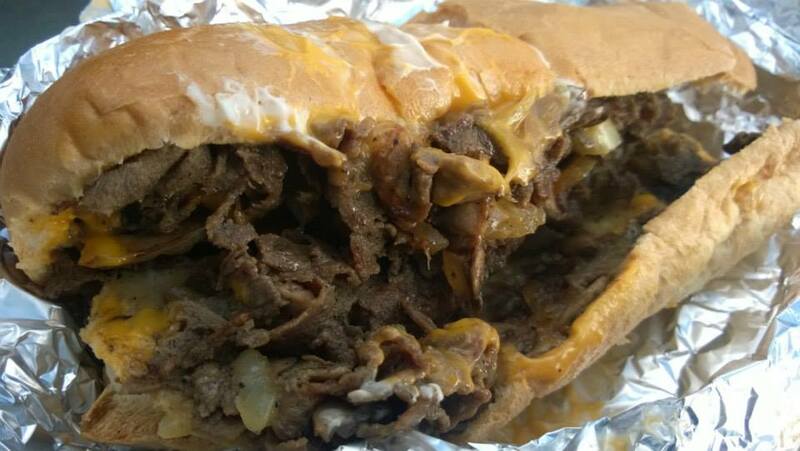 The ultimate street food, a Philly Cheeesteak is a portable, hunger killing beast. 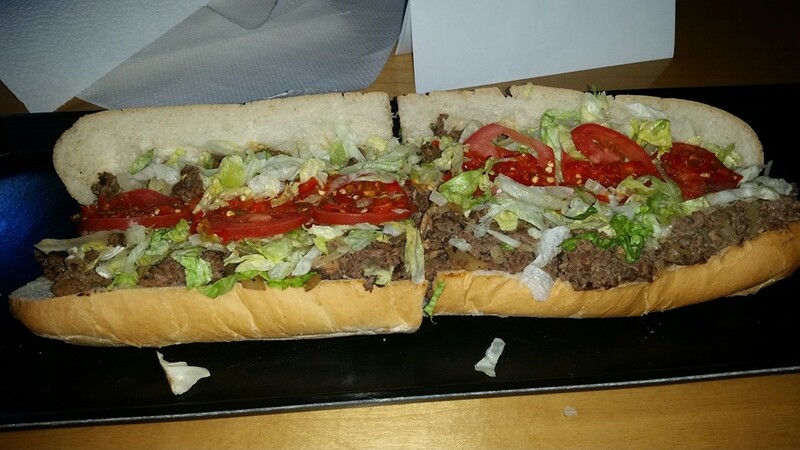 How do you like your Philly ? Fast forward to 1973 and history of Dayton Cheeseteaks takes shape. The very first Submarine House was opened on Brown Street near the University of Dayton by Doug Kidd. 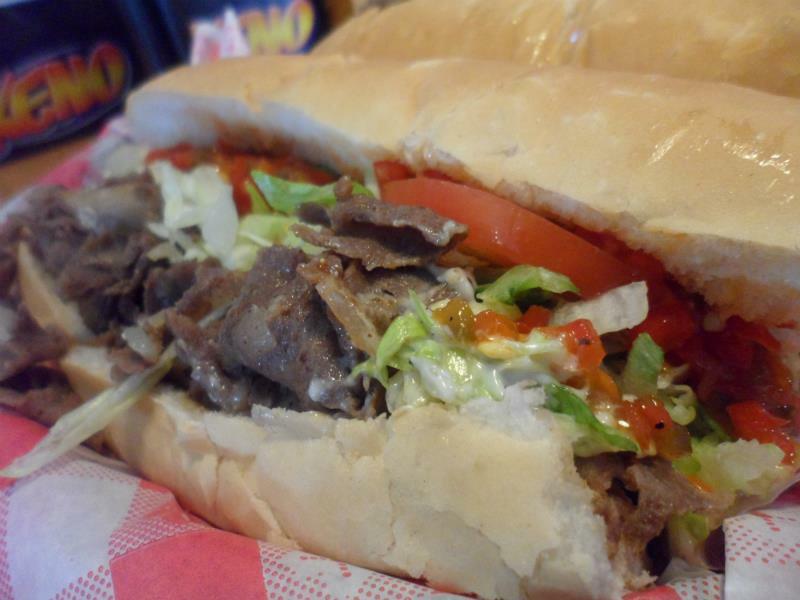 It was the first in the area to introduce the east coast style Cheese steak Sub. Many UD students and Dayton natives had their first Philly Cheesesteak here. One customer from Dayton, Gary Danner would eat there often. He loved the subs so much, that in 1978 he became the first franchisee. His store is still located today at 7850 N. Main Street. Gary bought the entire franchise from Doug. By this time they were cranking out hundreds of subs. The Submarine House continued to grow and expand around the suburbs. Gary’s sons, Jason, Brody, and Seth worked for Submarine House as kids, and after college 2 of them went to work full-time for the company. Brody Danner opened his first Submarine House. 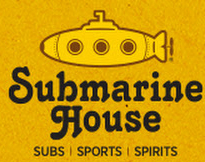 —2006, The first sports bar concept, Submarine House Bar and Grill opens in Vandalia. Jason and Brody have since opened numerous Bar and Grill Submarine House franchises. But you can still find their dad Gary, and wife Susan, at the Submarine House on North Main Street. 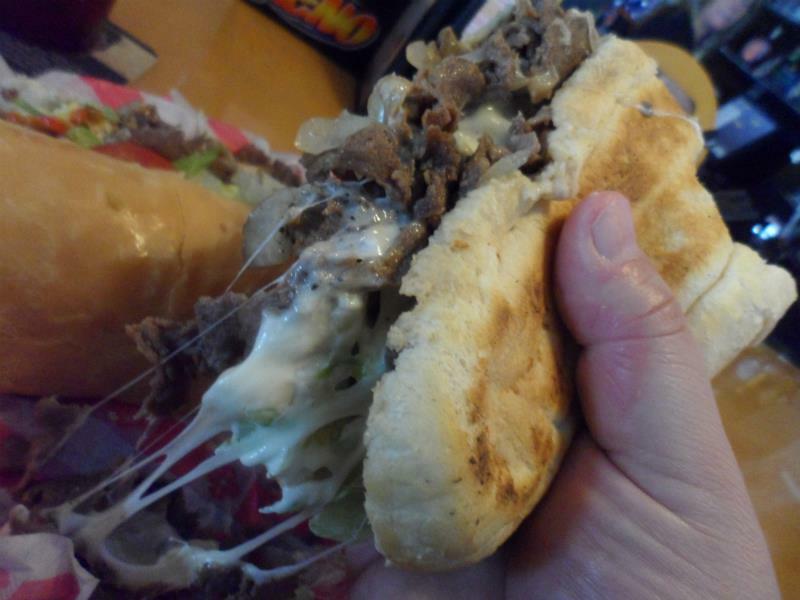 Do you prefer your Philly Cheese Steaks with CHEESE WHIZ or CHEESE ? 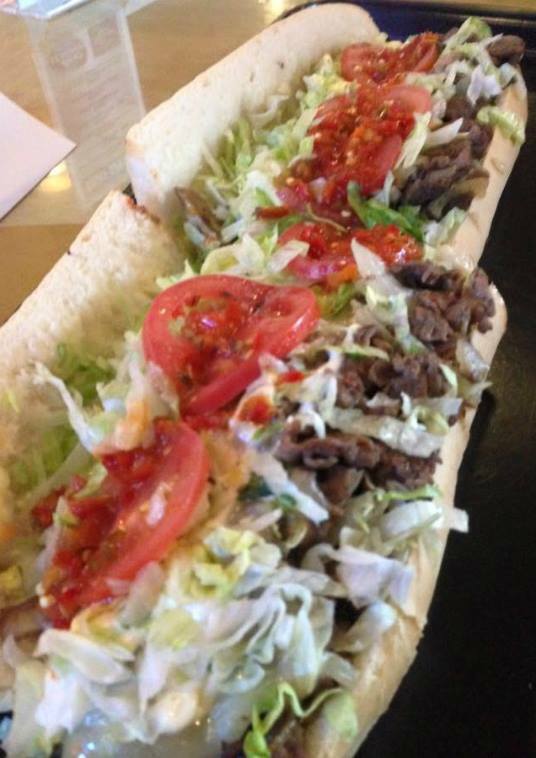 ONE WINNER CHOSEN AT RANDOM WILL WIN A SUPER DUPER CHEESESTEAK ! The Food Adventures Crew has a say ……..
Big Ragu says: Provolone Cheese ! Jessie says: I rarely eat dairy, so no processed whiz, give me organic cheese ! We want to hear your vote and maybe you will be the one sharing free 16 inches of heaven with us at the SUBMARINE HOUSE ! Look at that cheese pull ! City Sub Champ to Be Crowned June 9th! Come to the Centerville Submarine House Saturday June 9th and watch some people eat some subs… oh and you could win $10,000. Yes … 10 grand …. and you can rock the night away with local band STRANGER who takes the stage at 7pm. 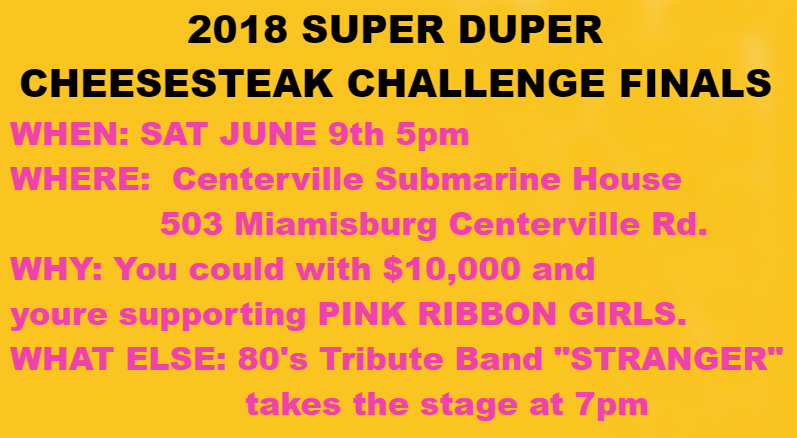 The Submarine House will crown the 2018 Super Duper Cheesesteak Challenge Champion on Saturday June 9th at the Centerville Bar and Grill Location at 503 Miamisburg-Centerville Rd. The fast and furious action will take place at 5pm. This is the Finale of the contest and will pit each store champion vs store champion in a chow down showdown that promises to leave no crumbs. 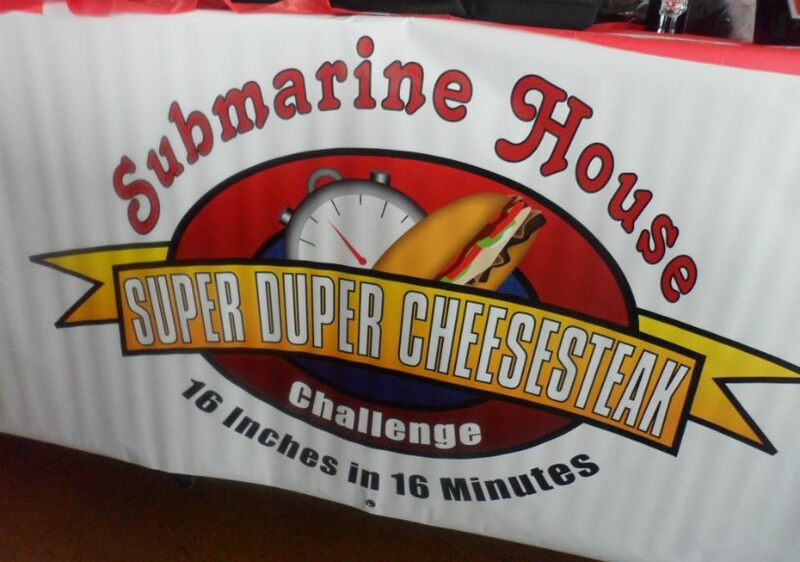 For several years, the Submarine House has hosted the annual Super Duper Cheesesteak Challenge. Hungry Daytonians have stepped up to take on the task of eating a 16 inch Super Duper Cheesesteak. That means a Cheesesteak with triple the meat and triple the cheese, and the works toppings. To beat the challenge, you have to eat all the deliciousness in 16 minutes or less. Over the past couple of months each Submarine House location has had competitions to crown a “store champion” with the fastest time. On June 9th those champs along with a couple of past city champions collide. 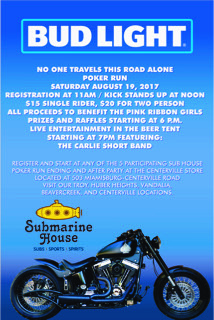 Again, this year the Centerville Submarine House is hosting the shindig. Please come out and join the dozens and dozens who will be in attendance, seeing history take place. Can anyone beat last year’s champion, CLAYTON NAYLOR, who ate the sub in about 2 minutes? This is also a celebration with the culmination of all the Submarine House location donations. One of the most touching moments will be the presentation of a check donation to the Pink Ribbon Girls. These funds were raised by the cheesesteak challenge and by donations from Submarine House owners, employees and customers. Over the past few years, the Danner family, who owns the Submarine House, have contributed tens of thousands of dollars to local Dayton charities. 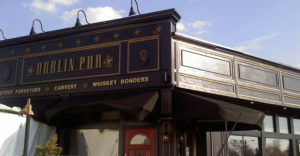 They have solidified their reputation as one of Dayton’s most giving restaurants. Won’t you come out and support the cause as well? STAY FOR THE AFTER PARTY, LOCAL ROCK BAND “STRANGER” IN CONCERT ! Do you love 80’s music? Then you have yet another reason to come to the Submarine House June 9th. 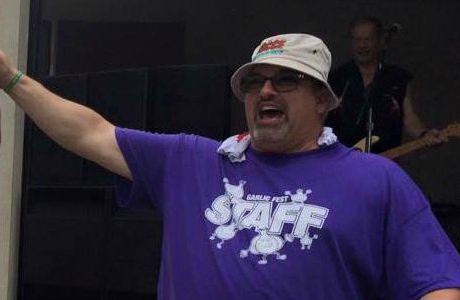 At 7pm, 80’s cover band Stranger takes the stage. 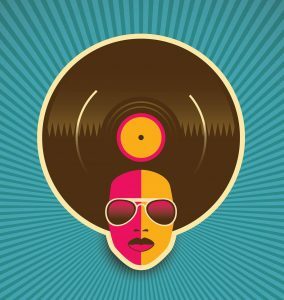 End your night by rocking out to some great tunes. What a great opportunity to come have dinner and drinks and watch the jaw dropping action. There will be some big mouths chomping on those “16 inches of heaven.” Stay for the live rock music afterwards ! Pink Ribbon Girls provides Healthy Meals, Housecleaning, Transportation to Treatment and Peer Support to individuals with breast and women’s reproductive cancers free of charge. The charity helps local women. 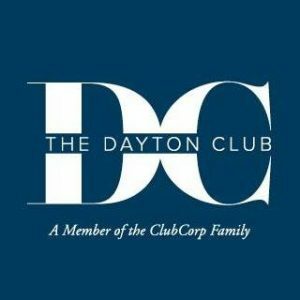 Real Dayton families are supported by them everyday. Can you eat 2 of these? 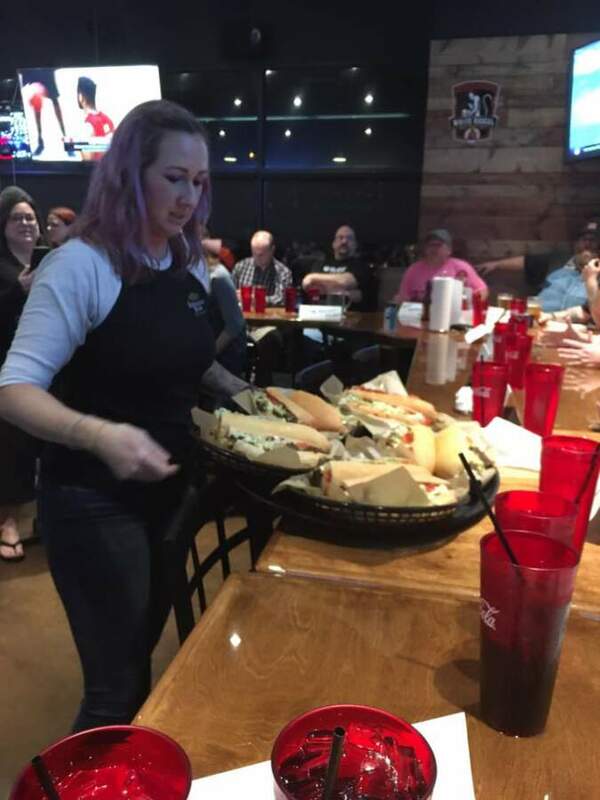 Each year, the Submarine House hosts the “Super Duper Cheesesteak Challenge” in which a person must devour a 16inch long Triple cheesesteak sub with “the works” toppings in 16 minutes or less. The 2018 proceeds go to the Pink Ribbon Girls. Again this year the Food Adventure Crew hosts a charity event qualifier to help add donations to the Pink Ribbon girls. 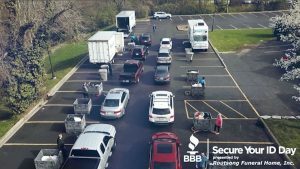 This year the site is the Centerville Store on Sunday May 20th, 3pm. We are looking for 10 WOMEN or MEN to take the Super Duper Cheesesteak Challenge and see if you can beat the sandwich! This is all about charity so each “EATER” or contestant is asked to make a minimum $20 donation to be considered for the event. Also, if you eat the sandwich fast enough, you may qualify in the top 10 of the Centerville store times and be vaulted into the store championship in a few weeks. BRING YOUR FAMILY – A percentage of all food and drink that night will go to Pink Ribbon girls. Join the fun…. #2 Come participate or just watch and eat and drink. The great menu at Submarine House goes from Pizzas to Subs and more. And remember a portion of your bill goes to CHARITY ! We will also be taking donations that night. #3 Bring your friends for a fun time. We are hoping to pack them in and raise $$ for PINK RIBBON GIRLS..
WANT TO PARTICIPATE AS AN EATER IN THE QUALIFIER???? Make your donation to the Food Adventures Crew Challenge, which will be donated to the Pink Ribbon Girls! You can also donate even if you don’t want to be a part of the challenge! Can you handle 16 inches of Heaven ? JUST WANT TO WATCH AND SUPPORT THE CAUSE? 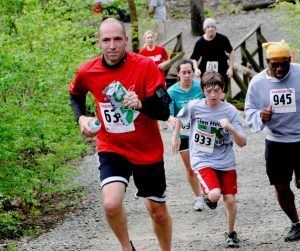 Show up at the Centerville Store and cheer on your favorite participant… 3pm , Sunday May 20th . 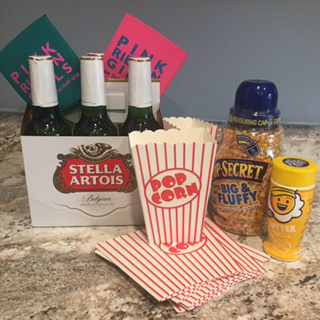 A portion of all monies spent from 3pm – 5pm will be donated to THE PINK RIBBON GIRLS of DAYTON ! They support local women fighting breast cancer. Get all your foodie scoop on the Dayton area by following The Food Adventures Crew on Facebook. THE SUPER DUPER CHEESESTEAK ! 16 inches of heaven ! 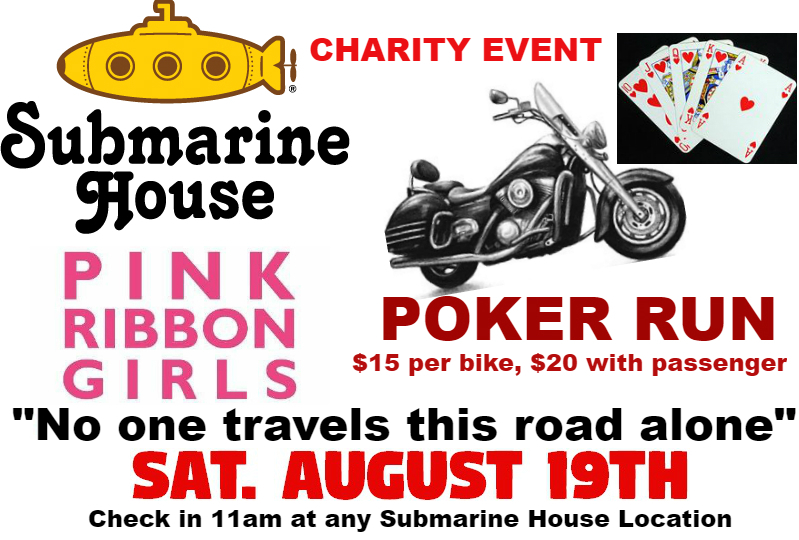 Submarine House Announces Pink Ribbon Girls Nights! 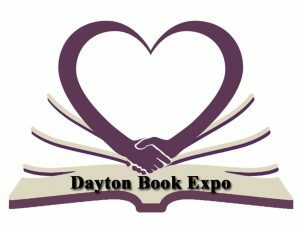 The first event is FRIDAY MARCH 23rd and will benefit Dayton’s Pink Ribbon Girls charity. The Pink Ribbon Girls are known for supporting women in the Miami Valley who are dealing with breast cancer. 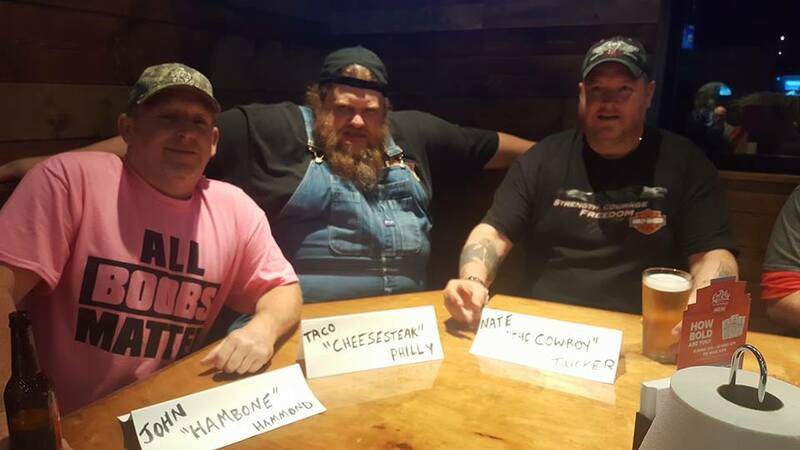 Last year Submarine House raised $30,000 for the Pink Ribbon Girls during their “Super Duper Cheesesteak Challenge” events. The challenge is back and the PRG events are kicking things up a notch. 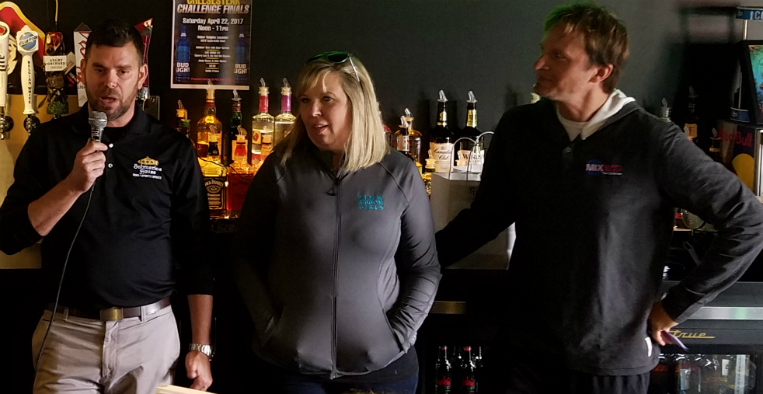 During March, April and May, Submarine House will pass the torch to 6 of their bar and grills, hosting a different PINK RIBBON GIRLS NIGHT at each location. April 27- Troy Location at 14 N. Market St. Submarine House is also running a “Round it Up Campaign” at all locations through the end of the contest June 9th. On every restaurant bill there will be a line where you can “round-up” the nearest dollar, and it all goes to Pink Ribbon Girls. The main goal is to boost fundraising efforts and raise as much money to fight Breast Cancer and help local families dealing with this illness. —Each benefit will run from 6-8pm on the Friday nights listed above. — A 50/50 drawing will be held during the event. Also, there will be some extra special moments at each night, where Pink Ribbon Girl ambassadors will tell their own personal stories of dealing with breast cancer. That will be followed by a 15 minute “lightning round” of the text to donate program. Our goal for each lightning round is $1,000! Super Duper Cheesesteak Challenge finalists ! Will you help this cause? Please consider coming out and supporting a local charity with results that have affected dozens of families for the better. Cheesesteaks and charity.. come hungry, come thirsty and leave fulfilled ! The Food Adventure Crew will be at the Centerville event April 6th and hope to see you there ! The Super Duper Cheesesteak Challenge is going on now and the finals are June 9th.. Can you qualify? 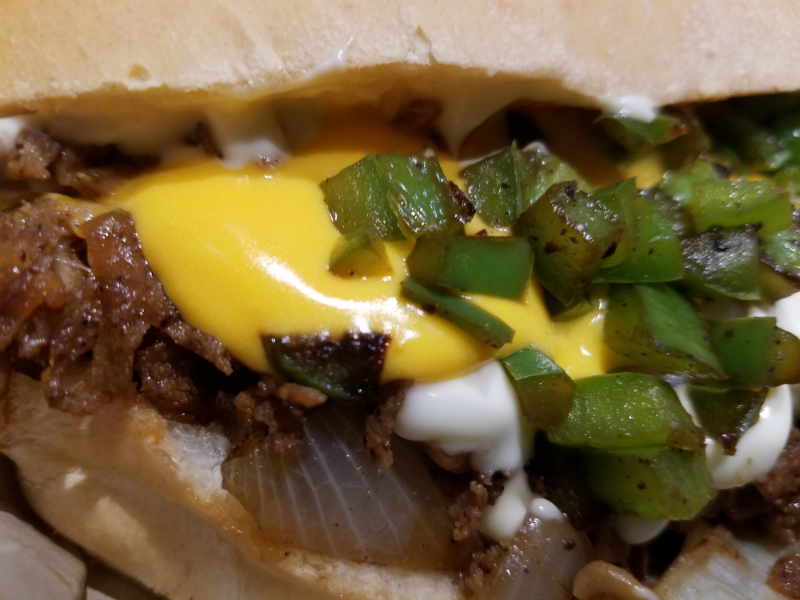 Also, Food Adventures will again host a Super Duper Cheesesteak challenge qualifying night some time in April or May – stay tuned to Dayton Most Metro for the date! The Super Duper Cheesesteak Challenge Is On! 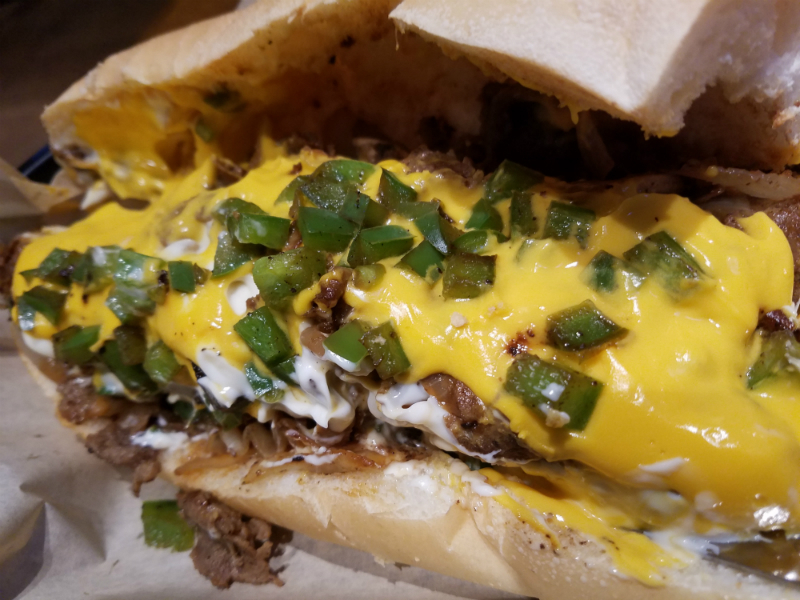 The 2018 Super Duper Cheesesteak Challenge kicked off this week! 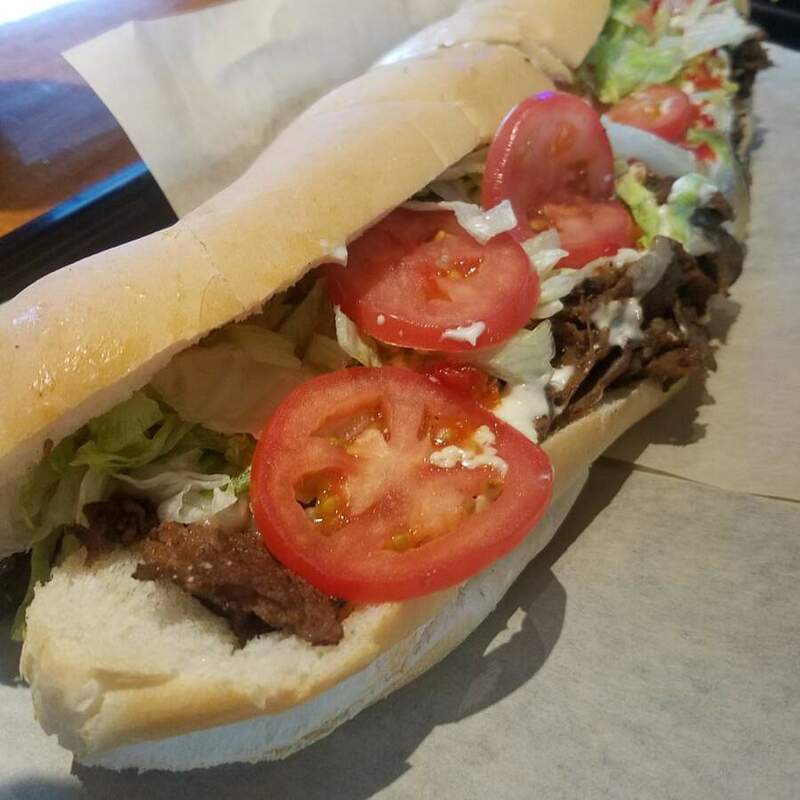 From now until Friday, May 18th- order a 16″ Super Duper Cheesesteak* and eat it in 16 minutes or less- and the sub is free! 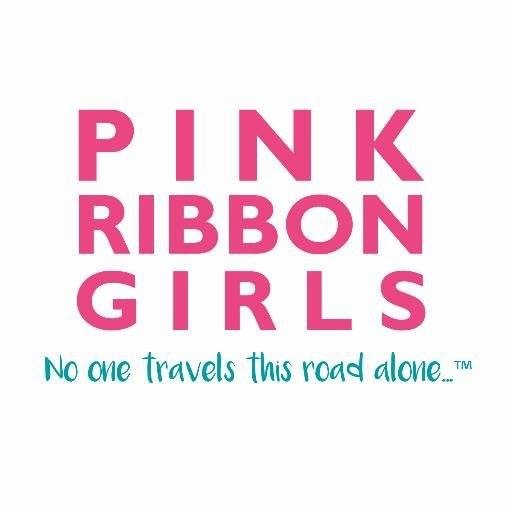 We are teaming up with Pink Ribbon Girls again, and can’t wait to see what you all help us raise this year! Eat the 16″ Super Duper Cheesesteak in 16 minutes to qualify. • Must be 18 or older to participate and in good health. • Each contestant must execute and waiver and release of liability before participating. • Contestant must inform Submarine House employee at time of ordering that they wish to take the challenge. • Store employee must administer the timer and select area for customer to sit during contest. • Store manager on duty is responsible for decisions on any and all disputes at each participating Submarine House store. 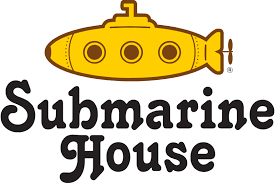 Notwithstanding the foregoing, the managing member of 7850 Limited Liability Company has the ultimate decision making authority related to all disputes for any Submarine House Franchise. • Contestant must consume 16″ Super Duper Philly Cheesesteak with “The Works” in 16 minutes or less. • Entire sub must be consumed including all contents that fall from sub during consumption and must not be regurgitated for a minimum of five minutes after finishing the sub. • Contestants may only qualify at one store. If a qualifier attempts to qualify again at another location, they will be disqualified from the competition. 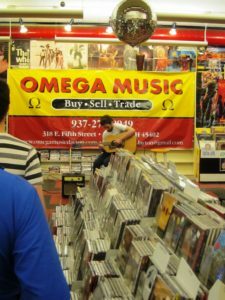 • Each qualifying entrant is responsible for providing their contact information to the store before leaving. • Employees and their immediate families are not eligible to participate. • All contestants successfully completing the challenge, will receive their sub for FREE and a Submarine House T-shirt. The top 10 times at each location qualify for the location Semi Finals. • All ten qualifying contestants must return on the designated date and time if they wish to try to become a finalist. • All Semi Finalists will compete at the same time and the store winner will be the first to completely consume a 16″ Super Duper Cheesesteak with “The Works.” The winner must completely consume their sub within 16 minutes. • The fastest time in the Semi Finals will win the store championship and receive a special T-shirt & trophy. The Finals event on June 9th this year is going to be our biggest and best yet- with an appearance by your local favorite band Stranger!! We are also giving away $10,000 to one lucky winner again this year! no purchase necessary- enter daily at your favorite Submarine House! • The finals event will be held on June 9, 2018, at 5pm at the Centerville location. • The 9 store winners shall wear their store champion’s shirt. • All finalists will compete at the same time and the winner will be the first to completely consume a 16″ Super Duper Cheesesteak with “The Works.” The winner must completely consume their sub within 16 minutes. • A panel of judges, appointed by 7850 LLC, will preside over the competition and the panel’s majority decisions are final. • The Champion will receive $1,000, a Champion’s Shirt, trophy, and their name engraved in the Champion’s Belt. *please visit submarinehouse.com for full contest rules and details. Food Adventures has learned that brewmasters at Hairless Hare Brewery and the owners and staff at Submarine House have paired up, and have been pouring a new beer that is available ONLY at six Submarine House locations! The beer is called BOTTOM DWELLER IPA, and promises to be a local favorite for those IPA lovers and hops fans. Hilliard. It isn’t even available at the Hairless Hare Brewery’s tap rooms ! —It is a fresh, clean, citrusy-beer brewed from Columbus, Centennial, Citra, & Mosaic hops. Then dry-hopped with Citra and Mosaic hops. —At 7% ABV, this well-balanced IPA will take you to a place only few have been. Go There. And while you are there, get a friggin Cheesesteak. —The beer is in Submarine House locations now, and has been for 8 weeks. Manager Kelsey Terhune tells Food Adventures that the feedback has been overwhelmingly positive. —Thirsty for more? Growlers to go are available for this and all draft beers at every Submarine House location. Fill up, drink up and repeat. In the icy cold depths of the abyss lives a creature feared by all. Hiding in the darkness with an alluring bait that glows bright. Attracting wide-eyed prey within it’s hoppy reach. 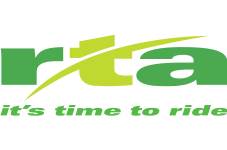 Started in Vandalia and founded by owners Matt Harris and Mike Legg in 2013. The Hairless Hare Brewery is known for their wide selection of craft beer brewed at 738 W. National Rd. in Vandalia. Whether you are a craft connoisseur or a beer beginner, they have brews that will please all tastes. past few years by brothers and owners, Brody and Jason Danner. 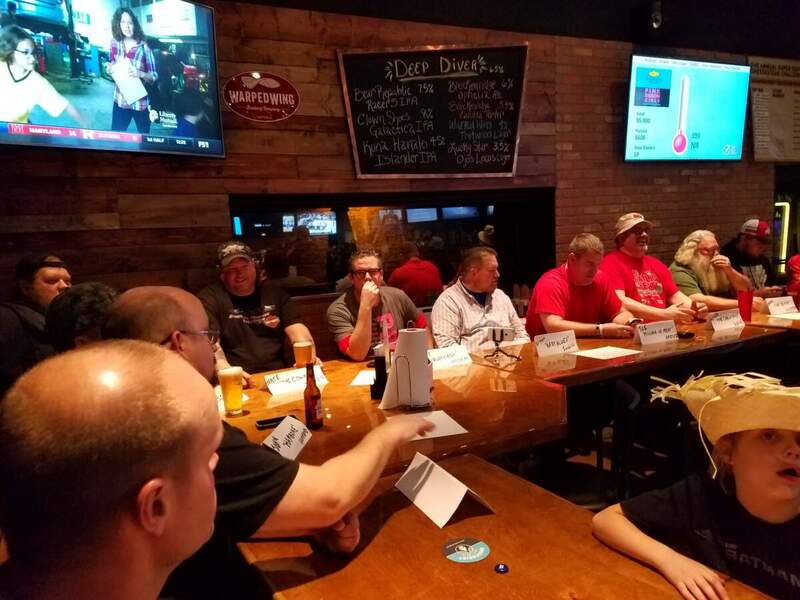 Teaming with a great staff and some franchise owners, they have expanded their stores, improved and completely overhauled the dining areas, expanded the draft beer selection, and added to the iconic menu. 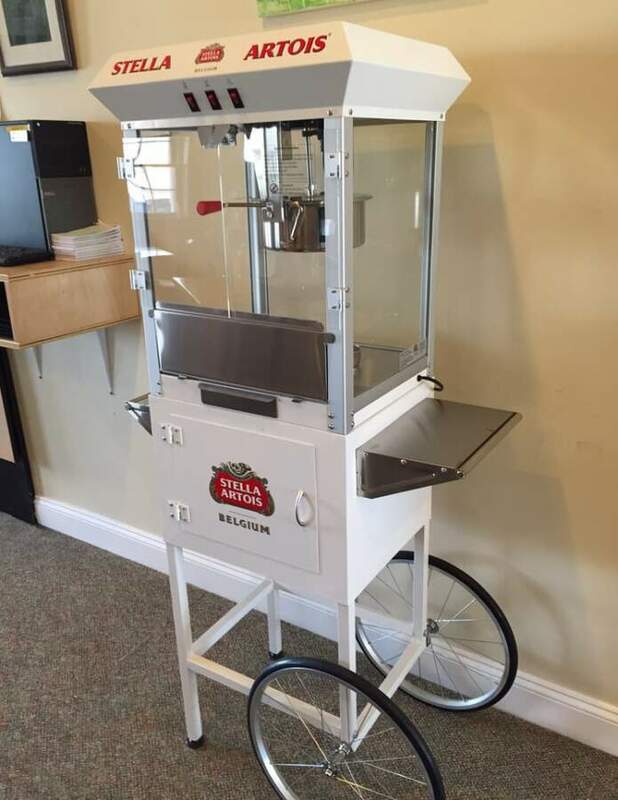 They have embraced many local charities, hosting countless events including poker runs and their annual Super Duper Cheesesteak Challenge for charity. 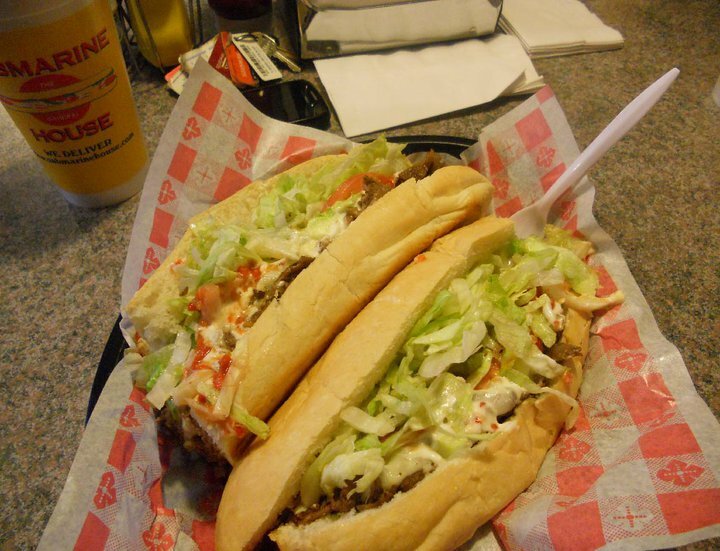 All of this and still they keep the quality “16 inches of Heaven” in various subs and cheesesteaks that made these restaurants cult favorites and Dayton legends. Grab one of the Miami Valley’s favorite subs and a cold craft beer. Happiness can be found at Submarine House. Stop in and try the Bottom Dweller IPA and tell them the Food Adventure Crew sent you. Dayton Most Metro always has the inside scoop and buzz on the street for what’s happening in Dayton. Bookmark the page and read all the features, including our weekly feature articles from the Big Ragu, Hungry Jax and Chef House, and our continuing Food Adventures. Feel free to browse the photos below. Mozzarella Sticks, Onion Rings, and Wings – DELIVERED ! Dayton has a $30,000 Cheesesteak .. and in 2017 it was a pink Food Adventure. Let us explain…. 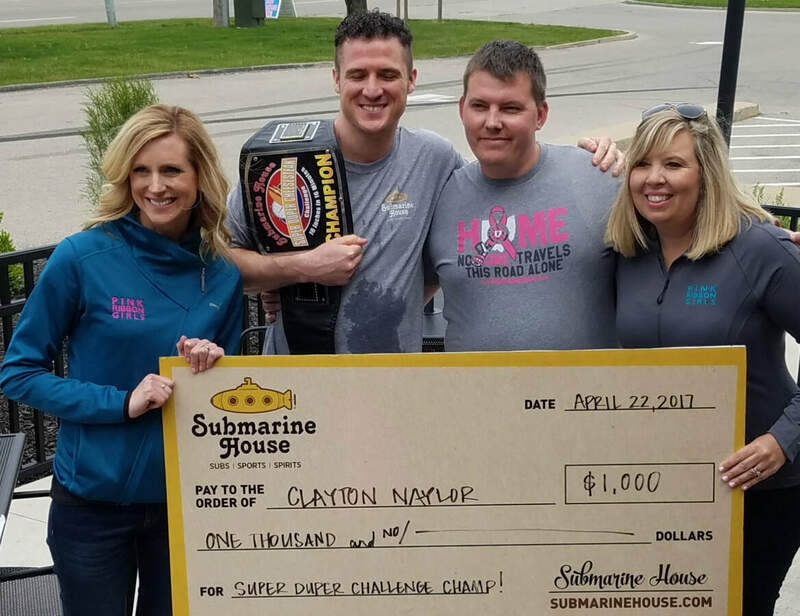 It was standing room only in the Huber Heights Submarine House Bar and Grill when Clayton Naylor chomped the competition last month. 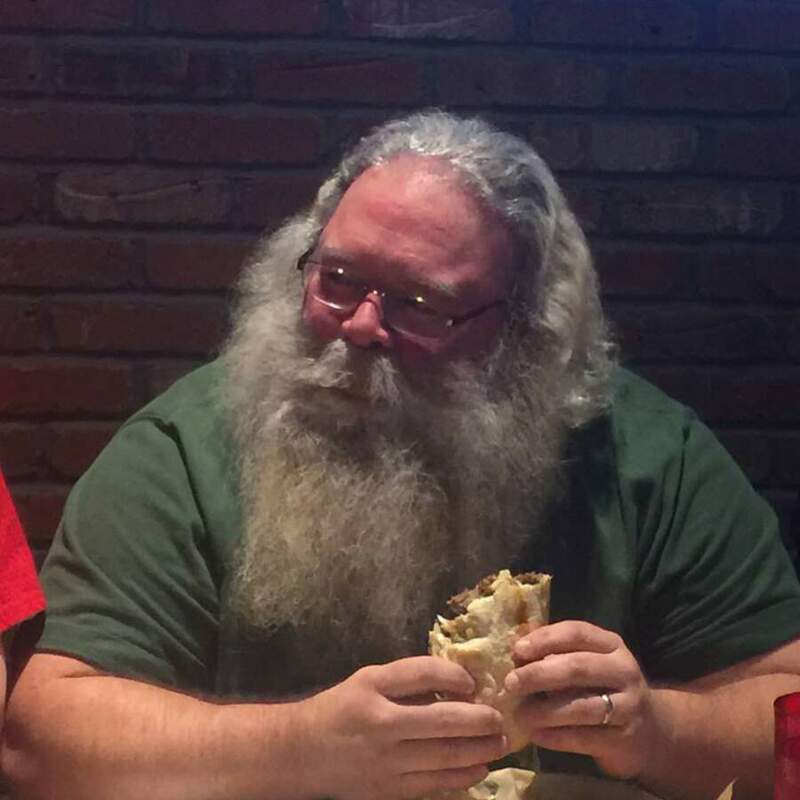 He downed a 16 inch Super Duper Cheesesteak in the official time of one minute and 55 seconds, leaving all other store champions still chewing their food. Clayton pocketed a grand, and got a 2017 Championship belt and trophy. He hugged his daughter and posed for pictures afterwards. It was his 2nd championship, having won the event 2 years earlier. 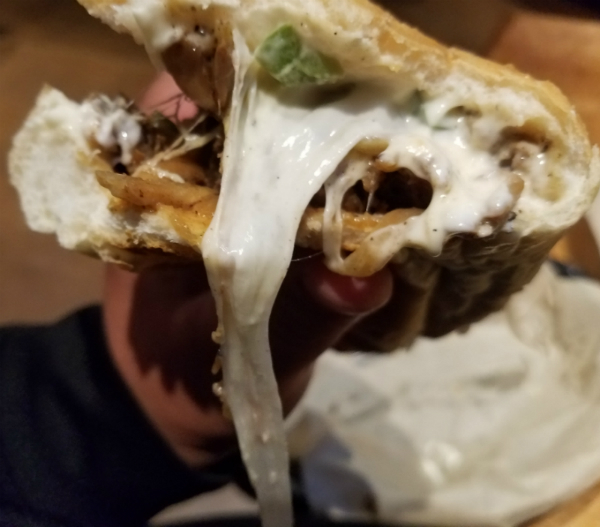 Clayton said his nutrionist and trainer wasn’t happy about him eating the cheesesteak, but he he told them it is only 3 times a year …. so lighten up Francis. You would think that was enough excitement for one day at the Submarine House. You would be wrong. Earlier they announced the proceeds from their 2017 Super Duper Cheesesteak challenges would benefit the Pink Ribbon Girls, a Dayton charity helping local women with breast cancer. 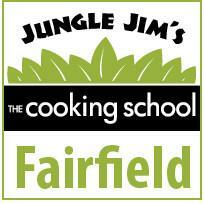 Food Adventures is happy to have been a part of this challenge for the past few years. In the past, we have watched Submarine House donate checks of $15,000+ and $17,000+ to local charities like Dayton Children’s Hospital, This year, the Submarine House owners, Brody Danner and Jason Danner, were about to blow those numbers away. This year, the Danner family, Submarine House and the Cheesesteak challenge raised $30,000 for The Pink Ribbon Girls. The crowd went bezerk as they held the huge “check” up for the people to see, and presented it to Heather Salazar – Executive Director from the Pink Ribbon Girls. The event has turned into a day long celebration. The Huber Heights locale hosted a beer tent, a bouncy house and live bands afterwards. It was a day and an evening to celebrate a big donation to a great cause. Let this be a reminder to you that in 2018 to support the Super Duper Cheesesteak Challenge when it rolls around again in January through March of next year. These charity dollars support and directly affect real families in the Dayton area and are making a big difference in families’ lives. Support local businesses that give back generously to local charities. The Submarine House is one example of those places. We look forward to next year’s challenges and congratulate all involved with this successful charity event. 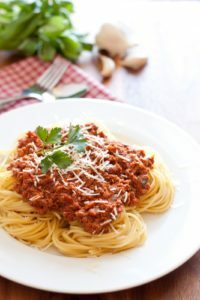 For more Food Adventures, check out The Big Ragu, Hungry Jax and Chef House at www.Facebook.com/foodadv. With over 7,000 foodies following them, they are the Miami Valleys “go to” blog for scoop on good eats, festivals, cooking classes and dinner events. 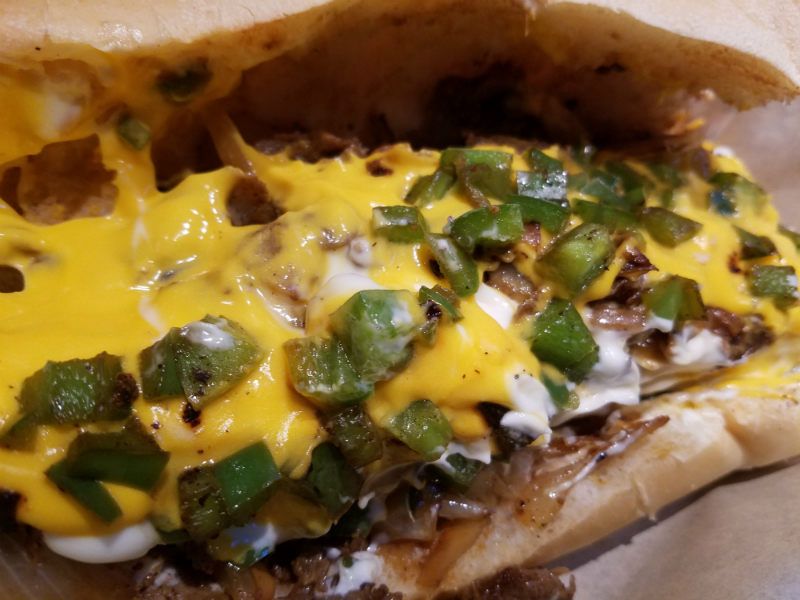 Please browse the gallery below for more photos from the Super Duper Cheesesteak Championships where the fastest contestants of each Submarine House location had to eat a 16 inch Cheesesteak with Triple the Meat, Triple the Cheese and the Works Toppings. No exceptions ! Oh … there are finals coming… but you wont have to study for these… and these finals are delicious! Saturday April 22nd at the Huber Heights Submarine House Bar and Grill location, an all day event is taking place. It is going to be one hell of a Food Adventure this Saturday…. how fast they could eat the Super Duper Cheesesteak Sub. Now, April 22nd each local Submarine House store champ with the best time, will face off in person, against each other and past champions will be there too. 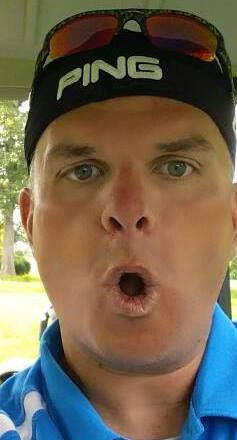 There have been draw dropping qualifiers and big mouths chewing. We have seen huge subs inhaled and have seen disapointing times, but all the events have always had one good outcome. All proceeds this year support the Pink Ribbon Girls, a local charity focused on helping support area women facing breast cancer, and helping fund research for a cure. Chef House will be judging and making sure no crumbs are left behind ! 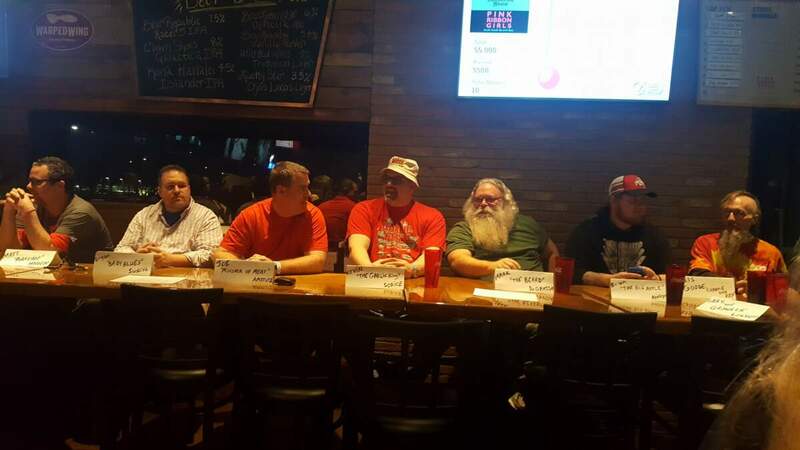 Now it all comes down to Saturday… one sub and a dozen of Dayton’s fastest eaters…. WHO WILL EAT THE 16 inches of HEAVEN the fastest? The winner will get $1,000 ! 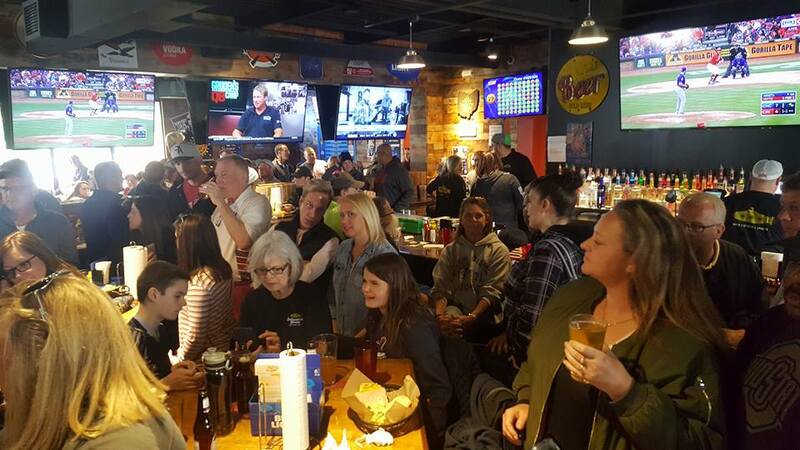 —The event is being held with all day festivities at the new Submarine House – Huber Heights Bar & Grill Location at 5376 Taylorsville Rd. 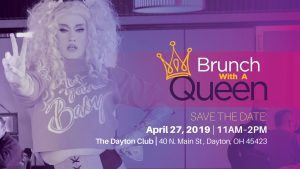 —Chef House and Big Ragu from Food Adventures will be guest judges and so will Lisa Grigsby from Dayton Dining and Dayton Most Metro. Chef House with 2016 champ Andrew Oakes ! Come out and enjoy the fun. Eat some subs, drink some suds, and enjoy a wonderful Saturday for charity. For those who might not know..
WHAT IS THE SUPER DUPER CHEESESTEAK CHALLENGE? —From late January through April 2nd, 2017, Submarine House customers could sign up on the spot to take the challenge. —To succeed, you must eat a 16 Super Duper Cheesesteak with The Works toppings (no substitutions) in 16 minutes or less. Note: the term “super duper” means hist sandwich is 3 times the normal amount of meat and cheese. Gulp ! “The Works” toppings means Cheese, mayo, lettuce, tomatoes, onions, homemade oil & vinegar dressing, pepper relish. You have to eat it this way with all the ingredients. Who will clean their basket first? This person isnt finished yet ! go to the Pink Ribbon Girls charity. 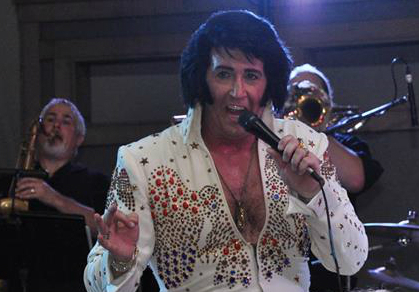 In previous years tens of thousands has been raised for different local charities. The Submarine House owners, the danner family continues the tradition again this year. Still hungry? Tackle more Dayton foodstuffs with Food Adventures on Facebook – LIKE us HERE. We are not food critics, we just love to eat! We are the original Dayton foodies. This is our passion, not our job, and we leave no plate unturned! Most importantly, join us for all the fun on April 22nd, and help support the Pink Ribbon Girls. 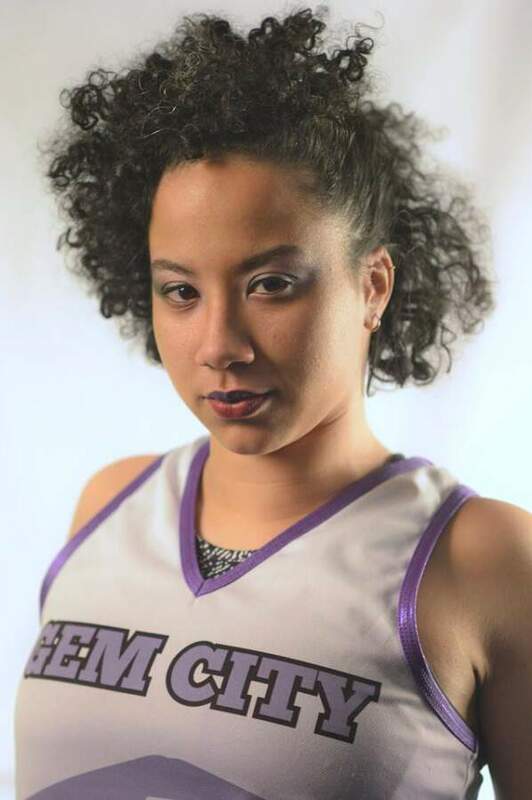 THIS SATURDAY IS THE FINALS !!!! Lots of people tried to get the fastest time…. 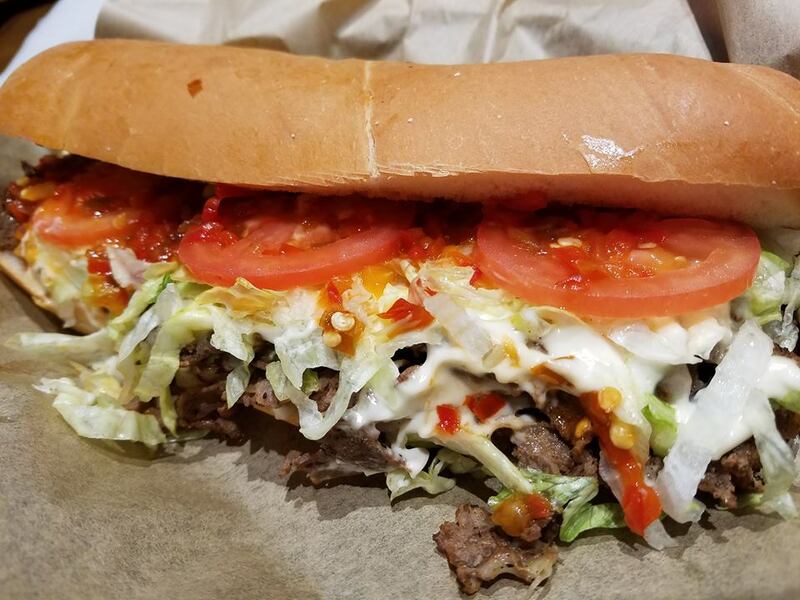 Super Duper Cheesesteak with the works – hello lover! When Kayla Bradsteet puts her hair up, it is time for serious cheesesteaking!